1. 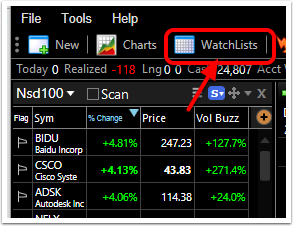 Click the WatchList icon. 2. Select Create New Personal List. 3. Name the list. Click OK.
4. 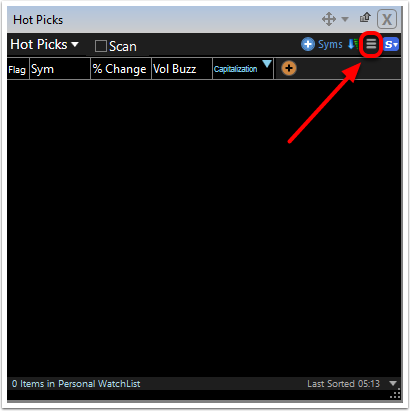 Left click on the menu icon in the top right corner of the Watchlist window. 6. 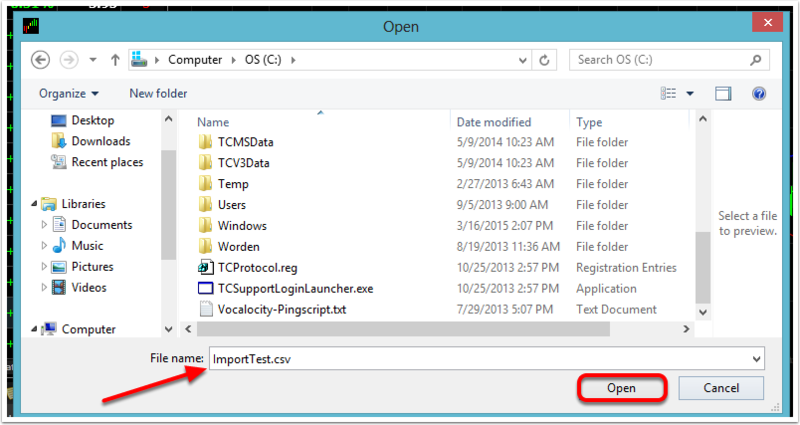 File Explorer opens for you to choose what file to import. 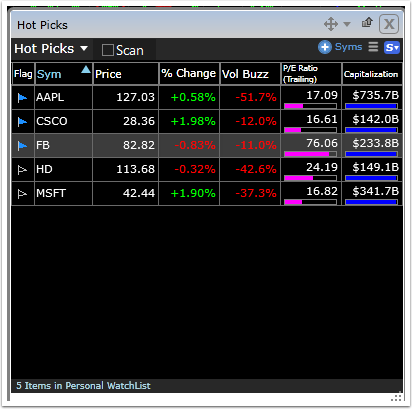 TC2000 accepts text (.csv and .txt), Excel and Word files. 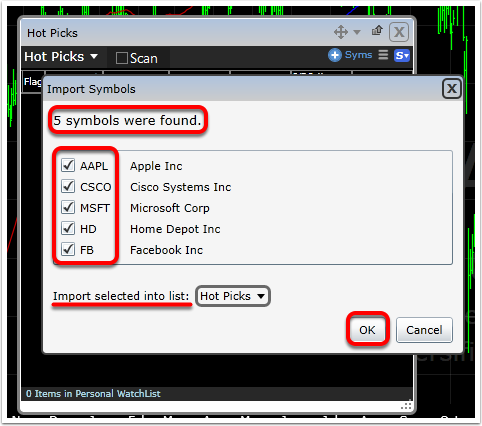 Symbol tickers only no other data items will be imported. Zoom: 6. 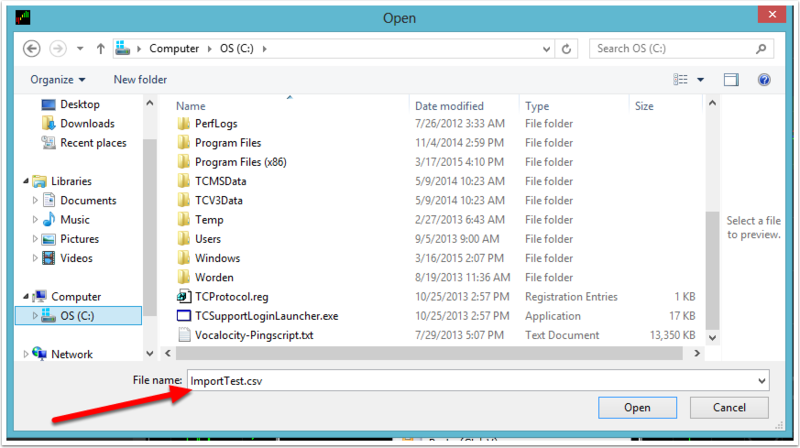 File Explorer opens for you to choose what file to import. 7. Located symbols will be listed. Click OK to import. 8. 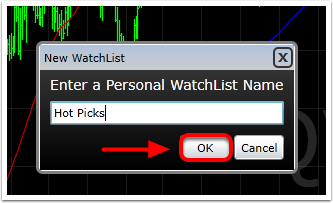 Your list has been imported into a new personal watchlist.